2. Go to C:\Windows\System32, search for explorerframe.dll file. 3. 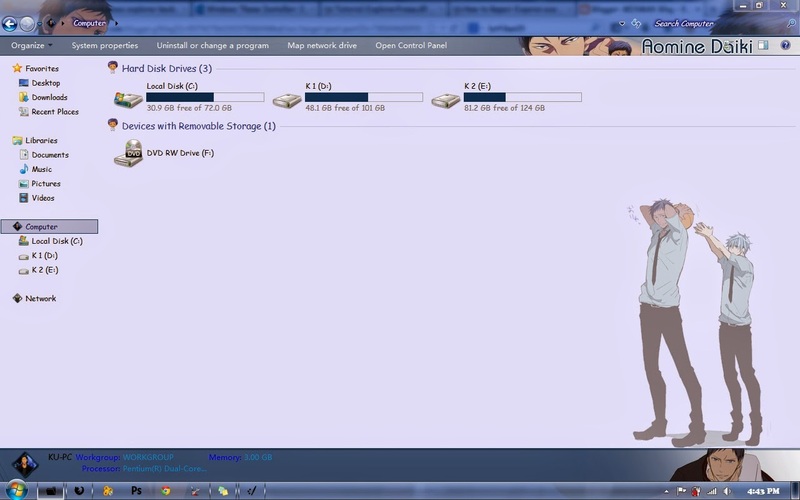 Right-click the file and choose TakeOwnership. 5. 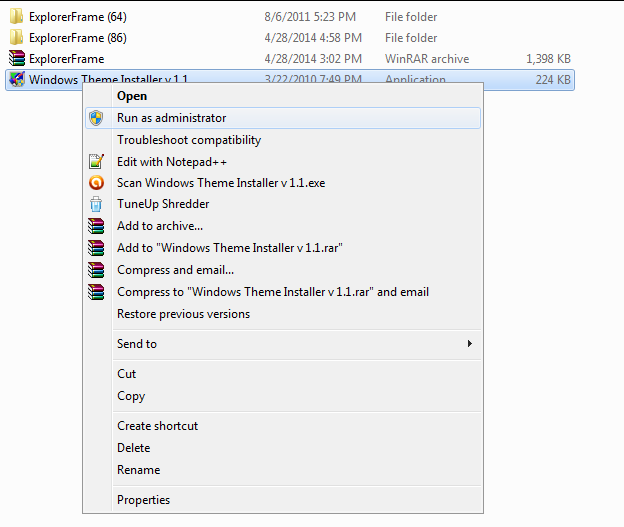 Right-click Windows Theme Installer, select run as administrator. 6. 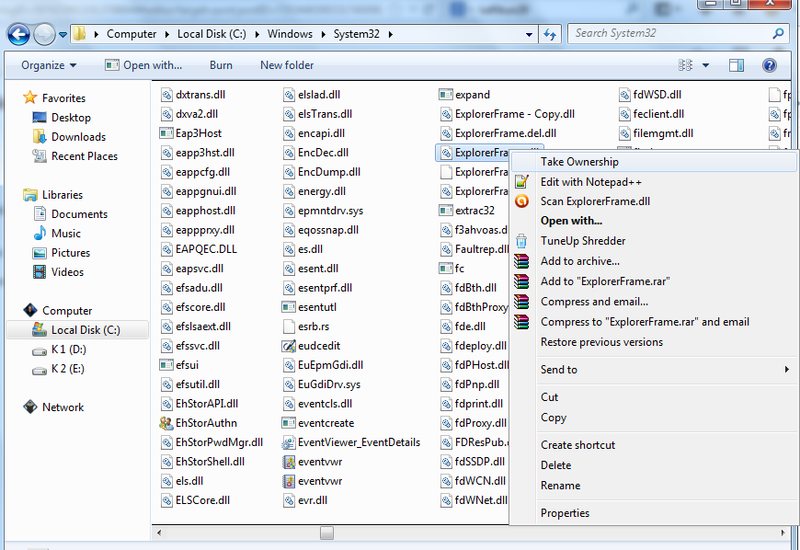 Check list ExplorerFrame.dll, then click Browse. 7. 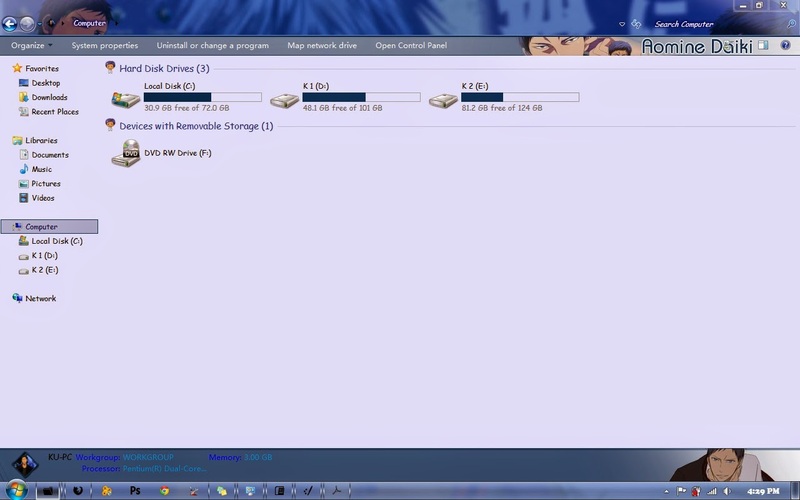 New Dialog Box is open up. Find the ExplorerFrame.dll(from the One you download), select the ExplorerFrame that suitable with your Bit Windows ( 32bit or 64bit), then click open.